The Dyna is dead. Harley-Davidson has scrapped the familiar twin-shock chassis, moving all models for 2018 over to the softail design. 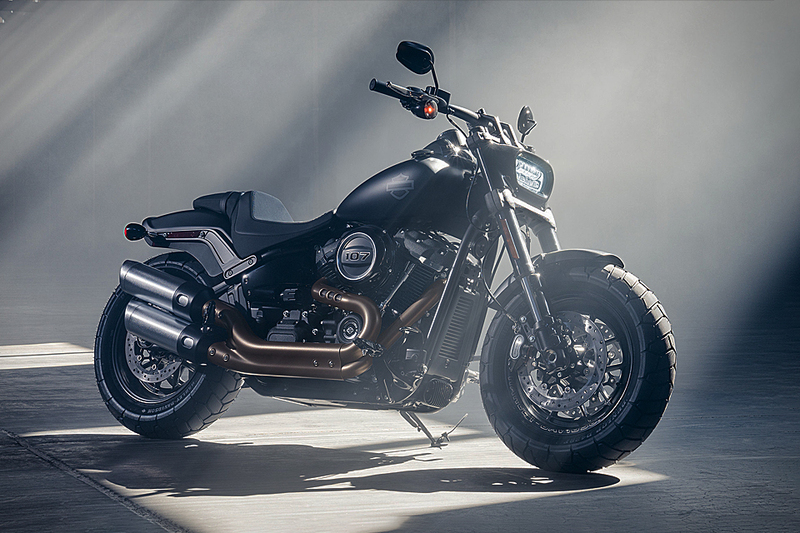 The 2018 Fat Bob gains the most from the change, getting powerful dual disc brakes, a more sporty 28° rake, adjustable rear monoshock, and USD Showa forks — a nod from Harley that the times have changed, and they aren't afraid to change with them. Engine choices are the torquey 107 and 114 cubic-inch Milwaukee Eights that move a lighter 650-pound bike. Change used to come slowly at Harley-Davidson, but the most traditional motorcycle manufacturer in the world isn't resting on its name any longer. The electric transportation revolution is well under way. Monday Motorbikes is a California-based company whose first entry into the zero-emissions arena is the M1. The M1 moped features full front and rear suspension, regenerative disc brakes, and proprietary, quick-change battery packs with 40 miles of range. If the batteries are drained, the M1 also has a completely separate pedal drive. An intuitive digital dash and minimalist modern-meets-retro design make for a ride that is as stylish as it is environmentally friendly. The reliability of BMW motorcycles is the stuff of legend. From safaris to rallies and thousands of miles on everyday pavement, a BMW with likely outlast its owner. But not even the engineers behind them could have imagined that 88 years later, their bikes would not only be running but able to keep up with modern traffic. Five years after BMW started making motorcycles, they introduced the 750cc-engined R62 in 1928. Unusual at the time, the R62 has all the things that are hallmarks of BMW motorcycles — horizontal twin engine, shaft drive and a cantilever front suspension. The R62 is a perfect example of BMW's form-follows-function philosophy. Traditionally, bicycles have taken tech and styling cues from motorcycles — not the other way around. But this custom BMW R80 flips that convention on its head. Inspired by 80s BMX bikes with Skyway Tuff Mag wheels, it perfectly captures the aesthetic. The art of any custom bike is in the details, and the Skyway Boardracer is loaded with them. Internal throttle and clutch cables along with Motogadget instruments and switches keep the appearance exceptionally clean. 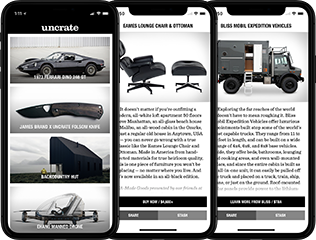 A custom one-foot braking system eliminates the brake lever, and handmade pieces like the battery cover and CNC'd exhaust tips and the finishing touch. More than just a styling exercise, the updated suspension pieces also make this R80 a joy on the road. No one ever called Frankenstein pretty — and it's doubtful you'd say that about Classified Moto's Frank, which is the point of the build. The second collaboration between Classified Moto and Rebel Yell bourbon, Frank seems to be a total abomination at first glance. Starting with a sporty Triumph Speed Triple donor, a totally custom-made single sided swingarm was fabbed up and mated to a massive ATV tire. A shortened subframe carries a hand-stitched seat, with the original front forks carrying a knobby Kenda front tire. In another tribute to Mary Shelley's monster, the tank is overlaid with text from the novel. The beast will be up for auction in September 2017. Find out more on Rebel Yell's website. In the annals of performance motorcycles, the Honda GL500 Silverwing wouldn't make the cut — and that was part of the inspiration the Motoism GL500-JPN. A massive overhaul takes the formerly sedate little cruiser to modern bike more capable than even Honda could have imagined. USD forks and brakes from a Honda CBR600RR shore up the front end, while the rear has been converted to a mono-shock setup from the original dual. Custom spoked alloy wheels wear aggressive enduro tires, while a hand-laid fiberglass fascia houses two HID lamps and LED running light. The bike is finished with a complete motor tear down and rebuild for another few decades of riding. Production is limited to just 16 units. Triumph, Norton, and the British Small Arms company — better known as BSA — were the triumvirate of British motorcycle manufacturers. BSA, together with sister company Triumph, was once the largest maker of bikes in the world, but the marquee has been dormant since the late 1970s. The brand remains popular with enthusiasts, and Steve Bright is no exception. Steve took a 1967 BSA B441 Victor Enduro and turned it into a replica of the extremely rare factory racer, meaning it can be ridden without fear of ruining a piece of history. In his spare time, Steve has a private shop, and much of what you see here was handmade. Even though it's not a factory original, Steve's work would be right at home in the pits of a late-60s track.